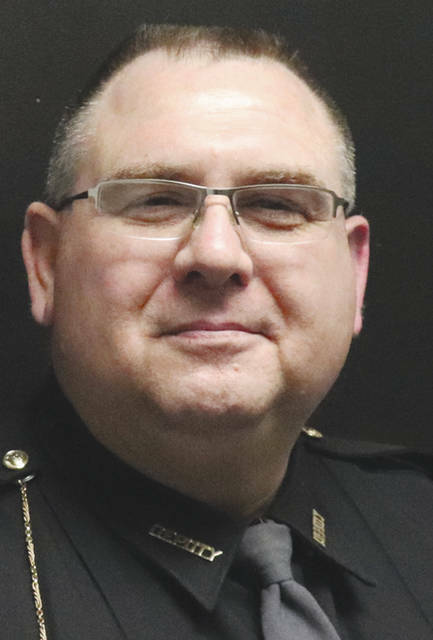 Eric Holmes was recently appointed as the chief deputy for the Champaign County Sheriff’s Office, bringing decades of law enforcement experience with him. Holmes started in the position last Friday and is taking over for Chief Deputy Rick Jordan. Champaign County Sheriff Matt Melvin said Jordan, who had served as the chief deputy for four years, departed from the sheriff’s office on medical disability. Holmes is eager to serve the local community. “My wife came from Champaign County and my in-laws still live in Champaign County and I still have family in Champaign County so I’m familiar with the Champaign County area,” Holmes said. “This opportunity presented itself and it was kind of a very easy decision to make in order to come up here. Holmes started his law enforcement career in 1985 when he enlisted in the Air Force/Air National Guard and served with the Air Force Security Police. A few years later, Holmes was in college at Wright State University when he had the opportunity to go to the police academy. While at the academy, Holmes worked as a part-time officer for the Enon Police Department until 1989. Around the same time, Holmes worked as a special deputy for the Clark County Sheriff’s Office. Holmes was hired by the Clark County Sheriff’s Office in August 1989 and worked for the department until December 2014. During his time with the sheriff’s office, Holmes served in various positions, including being the sergeant in charge of the New Carlisle area, detective lieutenant and captain. After retiring from the Clark County Sheriff’s Office, Holmes worked as a bailiff in the Clark County Municipal Court. Holmes said he is looking forward to being back in a full-time law enforcement position after working as a bailiff. Within the sheriff’s office, Melvin said Holmes will have administrative duties including overseeing the road division and other daily operations.